A selection of Crime Wave Press titles. And so, with just a couple of titles, Asia’s first boutique crime fiction imprint was launched with some fanfare at the UBUD Writers and Readers Festival in Bali in October 2012. We had a great start, hanging out with Nick Cave, John Pilger and Colin Falconer, schmoozing with agents and feeling like…well, publishers. And it just seemed to get better. 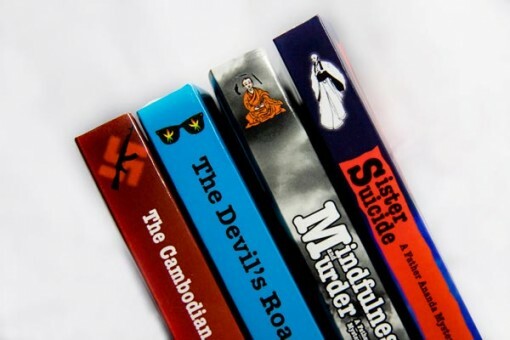 Within weeks of having our first two titles online as eBooks and PODs, we sold The Cambodian Book of the Dead to British publisher Exhibit A Books. 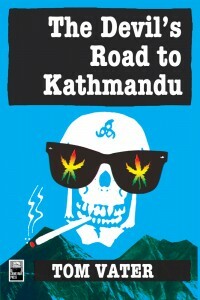 Shortly after we sold the Spanish language rights to The Devil’s Road to Kathmandu to Editorial Xplora. 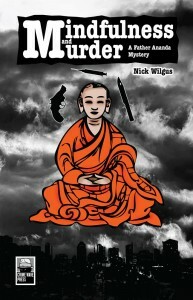 And we got lucky again by signing the Father Ananda Mystery series by Nick Wilgus, which had been published in Thailand a decade earlier. Now we had a handful of titles, we were organizing promotions, interviews, podcasts and we began to shift some copies. But we received no submissions. Well, that’s not entirely true. We did receive some bar girl novels set in Thailand, quite a few Vietnam War reminiscences by former US soldiers and a handful of titles so badly written one could not even get through the first page, a 120,000 words text on Satanism amongst them. It’s part of our company policy not to publish right wing, racist, sexist or otherwise demeaning fiction. That canceled out all the bar girl novels and most of the war stories. We blogged, we tweeted, we Facebooked, we networked and we sent out thousands of emails. We traveled to the Frankfurt Book Fair. We reached out to literary connections in Japan and India. We cajoled our friends to write novels. And our slush pile remained just that – a pile of low quality slush. We did find Jame Dibiasio’s excellent Gaijin Cowgirl , the incredible adventure of Val Benson, Tokyo hostess, World War II treasure hunter and a wonderful if reckless female protagonist who will be back in a follow-up at the end of the year. And that was pretty much it. We couldn’t find any more crime novels set in Asia. Crime Wave Press, it seemed, was stuck. In late 2013, I connected with my friend, writer James Newman, who had also started up a small publishing imprint — Spanking Pulp Press. James didn’t seem to have as much of a problem attracting writers, despite not being able to offer advance payments, just like us. He did throw his net wider though, signing any pulp genre fiction from anywhere. Hans and I had to make a difficult decision — carry on publishing a few criminal tales from Asia or broaden our submissions policy and accept crime fiction from all over the world to expand out catalogue. We went for the world. Crime Wave Press are reading manuscripts for whodunits, Noir and Hardboiled, historical mysteries and espionage thrillers, literary crime and pulp fiction, highly commercial page turners and marginal texts exploring cultural underbellies from around the world. The slush pile has grown and so has the quality of the work we receive. We have signed five new writers. Ironically the first two titles we publish this year have strong Asian connections – Skewered and other London Cruelties by Benedict J. Jones, just out, is partly set in London’s Asian community, and the forthcoming Salaryman Unbound by Ezra Kyrill Erker takes place in Japan. But those elusive great books, the ones that have a special quirk, a singular tone, a narrative arc that swings like a jazz beat and an immediacy that cuts like a knife, those remain rare discoveries. 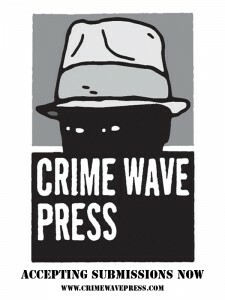 Crime Wave Press is still looking for great manuscripts. We plan to publish 24 titles this year — if we can find 24 great crime novels. 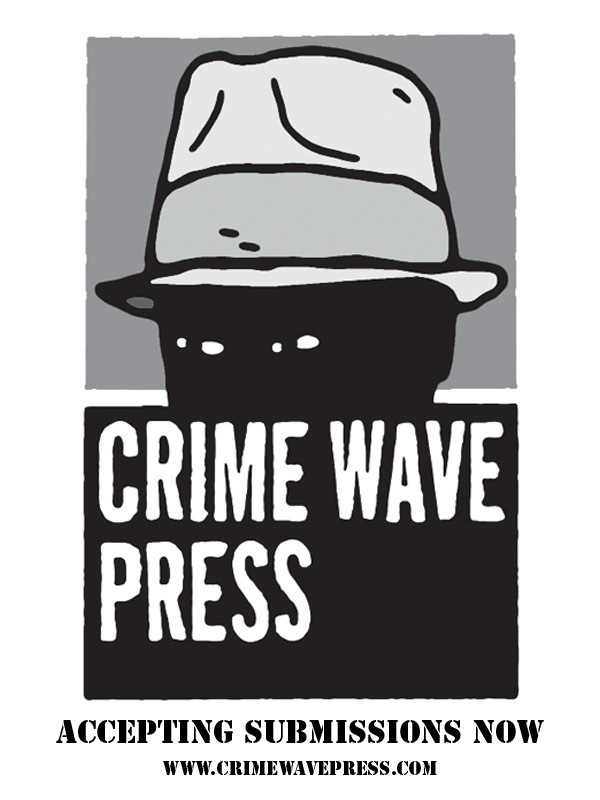 You can find Crime Wave Press online; on Facebook, on Twitter @crimewavepress. And we are accepting submissions.